Harrisburg, PA – Governor Wolf announced today that $1 million has been awarded to Pennsylvania for over 70 schools to implement violence prevention programs through the Sandy Hook Promise, which was created after the tragedy at Sandy Hook Elementary School in 2012. The funding from the U.S. Department of Justice’s (USDOJ) Office of Justice Programs was awarded through the STOP School Violence Prevention and Mental Health Training Program and authorized by the STOP School Violence Act enacted in March 2018. The Pennsylvania Department of Education has been working with Sandy Hook Promise (SHP). The funding will be used to implement SHP’s Start With Hello and Say Something, which are among SHP’s Know the Signs programs aimed at empowering students. Start With Hello encourages and guides students in creating socially inclusive school communities, while Say Something trains students to recognize the signs and appropriately intervene when they identify someone as exhibiting behaviors that they may be a threat to themselves or others. 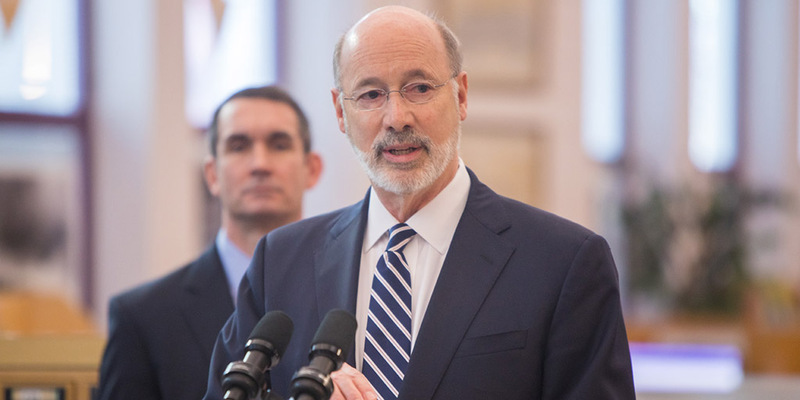 Today’s announcement follows the release in August of the Pennsylvania School Safety Task Force created by Governor Wolf and the Auditor General Eugene DePasquale after the high school shooting in Parkland, Florida. The previously announced $60 million investment through the School Safety and Security Committee, as well as the existing Safe School Targeted Grants, are working together equip schools and communities with a range of the tools to prevent violence. The funding will allow SHP to provide training to more than 70 schools across the commonwealth.